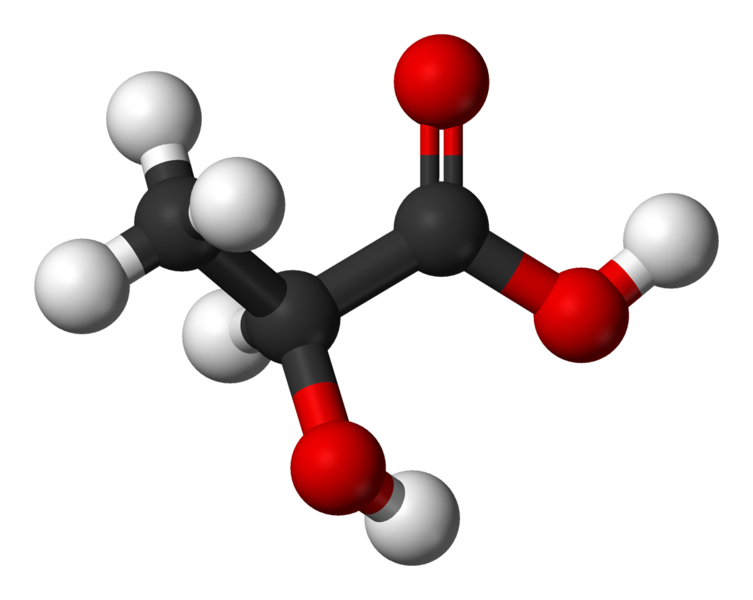 Lactate is a biological molecule which is the ionised form of lactic acid. The chemical structure of lactate is CH3CH-OH-COO-. Lactate has two optical isomers (L or D), but it is the L-lactate form which is produced and metabolised in the body. Lactate is the final product of anaerobic glycolysis (fermentation). If glucose consumption exceeds oxygen intake, i.e. during an intense effort, the pyruvate obtained from glycolysis is converted into lactate. Lactate is taken up in the blood by various human organs or cells. It is used in the liver to produce glucose through gluconeogenesis. It is oxidised in the heart into carbon dioxide (CO2) releasing energy at the same time.